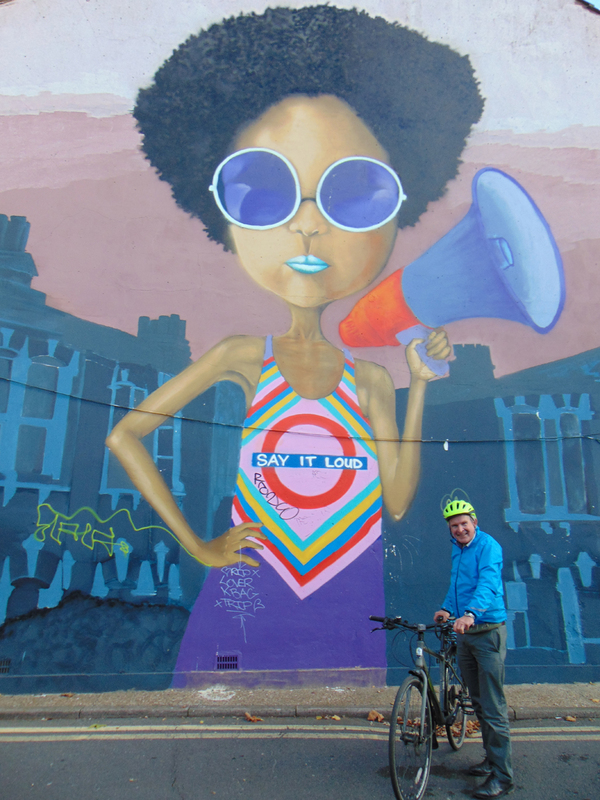 Is this the writing on the wall for Cyclists in Southwark? Let's enjoy cycling with and, more importantly, communicating with friends, rather than going on about politics all the time! With double to number of participants on our ride on 3rd November compared to the week before, with six people signed up to the Rochester Ride in December and with about 60 expected for the Christmas Day ride, we are going from strength to strength! The ride to Battersea was going to start a bit late and the Southwark Cyclists had already started arriving for their 10am ride. Would we be permitted to join their ride, as we were both planning for follow the same route down to the Thames? It turned out that they were happy for us to join in and one of the Southwark Cyclists even expressed an interesting coming on a Cyclist in Southwark ride. We did explain that we normally get more people on our rides, but we were having problems at the moment because letsride.co.uk is not giving us riders any more and is being spammed with daily Beckenham to Croydon commute rides, including one on Christmas Day: https://www.letsride.co.uk/rides/beckenham-to-croydon-commute-42. I was told that this spamming might be deliberate action taken for marketing/advertising reasons. Bruce Lynn mentioned that it was now possible to cycle round the American Embassy and its moat, so after we had left the Healthy Riders at Quietway 1 to go to Battersea, we did this (see https://www.facebook.com/groups/CyclistsInSouthwark/permalink/1794817863...). We then cycled through the heart of the Battersea Power Station development and stopped for coffee at the Pear tree Restaurant. 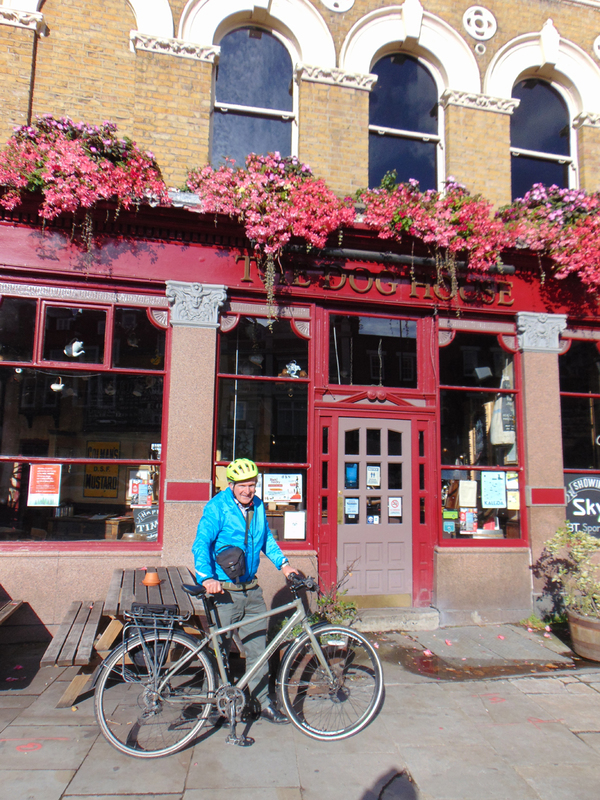 We returned to Herne Hill via Clapham Old Town and Brockwell Park. After the ride some discussions took place by phone and it was agreed that the way ahead was for people to try to depoliticise the Southwark rides, as this would benefit everybody. Thanks to Eleni for the photos.